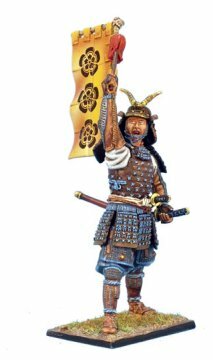 First Legion's Samurai metal toy soldier range focuses on the 1575 Battle of Nagashino on the plain of Shitaraghara. The battle turned upon a revolutionary tactic utilized by Nobunaga in support of Sadamasa. The arquebus was a slow loading weapon, and so Nobunaga arranged ranks of arquebusiers one upon the other to step onto the firing line once their weapons were discharged. While not the first time the idea of volley fire was ever used on the battlefield, it was the first use of it in Japan and defeated the Takeda cavalry charge, which had only been in use for a generation. 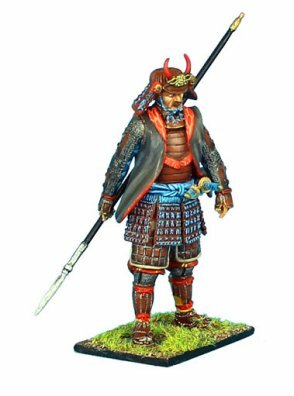 This range features samurai, ashigaru, and arquebusiers on foot as well as cavalry and diorama accessories. These richly detailed, historically accurate are individually hand painted. First Legion's Samurai metal toy soldiers are a must for any serious collector of Japanese figures. Choose from Nobunaga's and Takeda's forces below.